← Faith Fun Fellowship Is Coming Soon! The Pope said so. The quote is hanging on our wall. 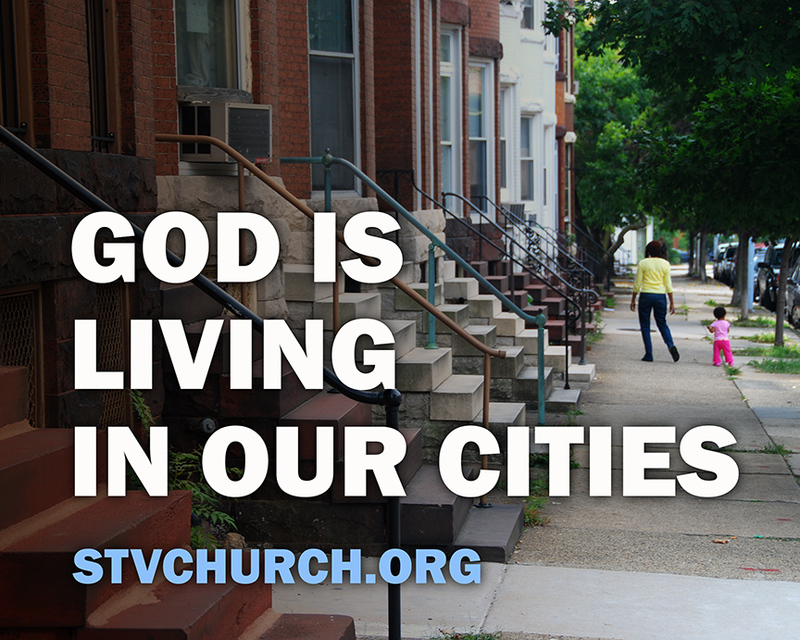 God is living in our cities. Really? Don’t the theologians say that God is everywhere? And if we were looking for someplace in particular to find God, most of us would think places of quiet natural beauty, like a stream in the forest or the sun reflecting off the surface of the Chesapeake in the early morning. What makes Francis think that God is living in our cities in any special way? Well, our cities are where our culture is. Whether you want pop culture such as a rock concert or high culture such as an art museum, you find it in the city. The ballpark, the stadium, the orchestra hall, the sculpture garden, all are in the city. And our cities are where humanity makes progress. Granted, the internet has made location a little less important in this regard, but proximity and personal interaction still matter in the interplay of ideas that creates progress, whether in philosophy or in medicine, in technology or in business. It is no surprise, therefore, that most of the great universities, the great research institutes, the great teaching hospitals, are in our cities. And, quite simply, our cities are where our people are. Over the past few centuries, as the population of our planet has grown, it is our cities that have grown even as our rural populations have declined. If God loves people, God has to love our cities, because that’s where the people are. But I think that above all these reasons, Francis would say, God is living in our cities because that’s where the poor are. Of course poverty exists in our rural areas (Somerset County, on the Eastern Shore, not Baltimore City as many might think, has the lowest per capita income in the state). But far and away the largest numbers of the poor live in our cities. Our cities are where our poor come seeking a way out of poverty, if not for themselves, then for their children. Whether it was an Irish farmer fleeing the oppression of British rule and the ensuing potato famine, or an African-American sharecropper thrown off his land during the Depression, or a Latino indocumentado who could no longer make it at home because of the violence created by the US-fed cartels, they have come to our cities in a last, almost desperate journey of hope. And despite the oppression and the violence they find in ghettos and barrios our society tries to confine them to, they still cling to that hope. 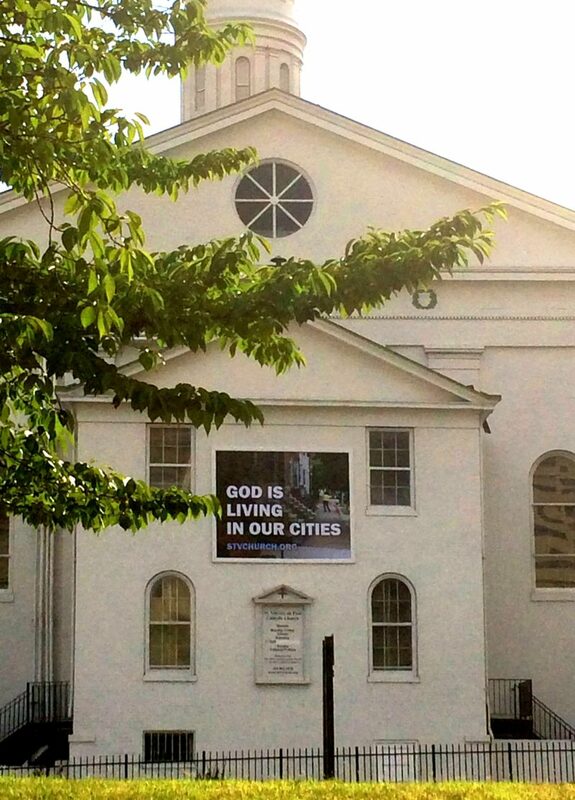 And God is with them, living in our cities. Thank you to Let Ideas Compete, who made this photo available for use through Flickr with a Creative Commons license.